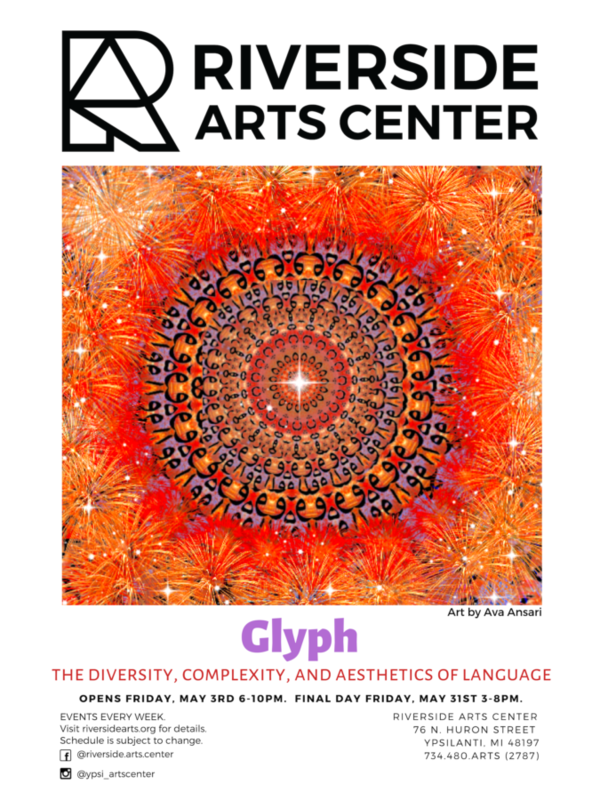 Glyph will explore the diversity, complexity, and aesthetics of language. Come enjoy the intricacies of blurring art and language, as broadly as we can define them. Eastern Michigan University Professor Carla Harryman will be performing at the opening reception. Opening Reception 6p-10p; Check back for more info about programming for this evening!